This is big. Already starting within the next hours the new firmware will become available on your NEEO. I had to keep this secret for a while and it’s just great to finally announce it. Everyone involved worked hard to get this done and focused on getting it done right. We saw others in the market doing some partial integration with PS4 but - what’s fun in integrating if you cannot even power it on? NEEO is proud to be the first smart home system in the market fully integrating with PS4 with a no-limitation, two-way driver via HDMI-CEC (so called consumer electronic control) This means you get smooth and fast control and it’s ultra simple to set up. No Bluetooth pairing needed, no infrared line of sight needed. And the best is: There is FULL control. Power your PS4 on, navigate without limit, all conveniently with your NEEO and use it as the perfect remote for your PS4. Hope you love it! 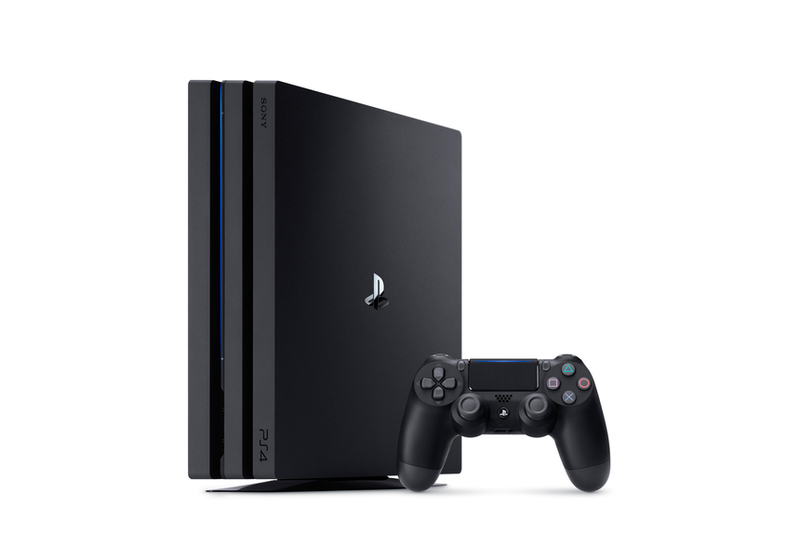 To celebrate that, we are giving away a "PlayStation 4 PRO”. In order to win, you simply need to have a completed profile and post at least one comment anywhere here on Planet NEEO until Sunday Nov 12th 9PM PST. Any comments count, it does not have to be PS4 related. The winner will be announced and celebrated here on the Planet NEEO. “PlayStation” is a registered trademark of Sony Interactive Entertainment Inc. “PS4” is a trademark of the same company. All other trademarks are property of their respective owners. Thank you @SONY Press Center http://presscentre.sony.eu for the image made available under CC license. That’s really great to hear. Thx for that Guys. well done! this is what i missed with my harmony! Beni Have you seen this solution for your Harmony? Confirmed as working here by the Harmony Team. Great - looking forward to trying this on my PS4. Does it also work with PS3? Good job! Keep em coming! But does that mean it doesn't work if I have my PS4 connected over a AV-Receiver witch doesn't support HDMI-CEC (or I have it disabled)? Christian Humer The CEC should normally even pass through devices that have CEC tuned off. That being said, give it a try an tell us how it worked in your setup. Great news for some BluRay Sessions in the Future. I really have to say that for me personally it was an ease to set up everything with neeo, of course there are some points that needs improvement, for example the recipe screens, would be nice to get the possibility to choose if I want to have the TV controls or just my shortcuts and in what order they show up, but overall an absolutely nice piece of work. Great stuff! Can't wait for mine to show up one of these days! Thanks for posting! We suggest you try it with your current setup without tinkering with your CEC options on your Tv. Let me know if it works :). 1) It doesn’t really work with my set up (PS4 -> Marantz NR1607 AVR -> LG55OLEDB6) with brain HDMI into spare AVR port. CEC is off on all devices except PS4 (for NEEO) and TV (for ARC). This is to stop Apple TV 4k always turning on when the tv is on and switching inputs automatically. CEC is off in my AVR, but because I need ARC from my TV for the inbuilt apps, the PS4 turns on every time the TV is on, which is annoying. So I’ve turned the PS4 control off. 2) the NEEO controls for PS4 have about 2 minutes lag on them. Despite a brain reboot this is still the case. 3) Everything else is also slower than before. I’m talking about all recipes. Is it possible to roll back firmware? I was happier with it beforehand. I do appreciate all the work that’s going into NEEO though. Cheers team. Looking good ! Great job guys ! What are the requirements for this to work? Do I have to connect the Brain to any hdmi port of the AVR? sagdusmir that's a good point and question!!! What if there is no free hdmi ports, a splitter? sagdusmir connect the Brain with a HDMI cable to your setup, either AVR or TV. It does NOT have to be connected to the PS4 directly. Michael Vogt Do you recommend connecting the Brain to a HDAnywhere mHub 4K431 by HDMI? I don't have anything connected to my TV other than the mHub display receiver and a Sonos Playbar. All source devices are connected to the mHub in a rack, and I don't have an AVR. Thanks in advance. Can’t wait to try this out! I was about 60% finished building my own PS4 hack/module to control the PS4. Guess that is on hold! Awesome, My Neeo black cat is arriving today via Fedex. Can't wait to start fiddling with it. I guess I wont sleep early tonight. Raphael Well done to you and the team for implementing PS4 support! This a significant step in the right direction. Out of interest, are your firmware update names inherited from your agile sprint names?